Whenever I run across some good storytelling advice, I always want to pass along what I’ve learned. 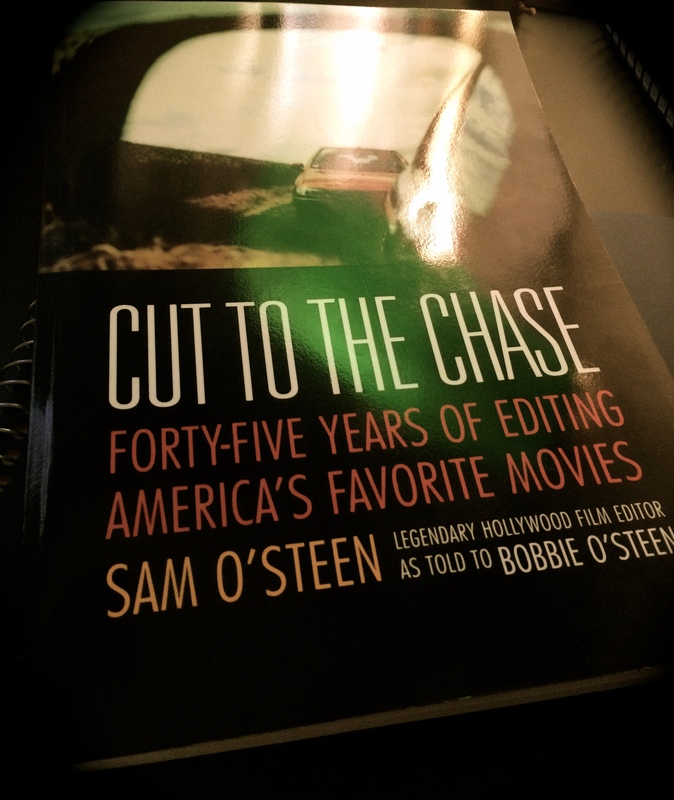 I recently reread Cut to the Chase: Forty-Five Years of Editing America’s Favorite Movies . I’d forgotten how much good stuff was in this book. It’s a transcription of the last interview with legendary film editor Sam O’Steen. For the uninitiated, Sam O’Steen edited The Graduate, Cool Hand Luke, Chinatown, Rosemary’s Baby, Catch-22 and more. Basically, Sam O’Steen was a badass editor that had mastered his craft. 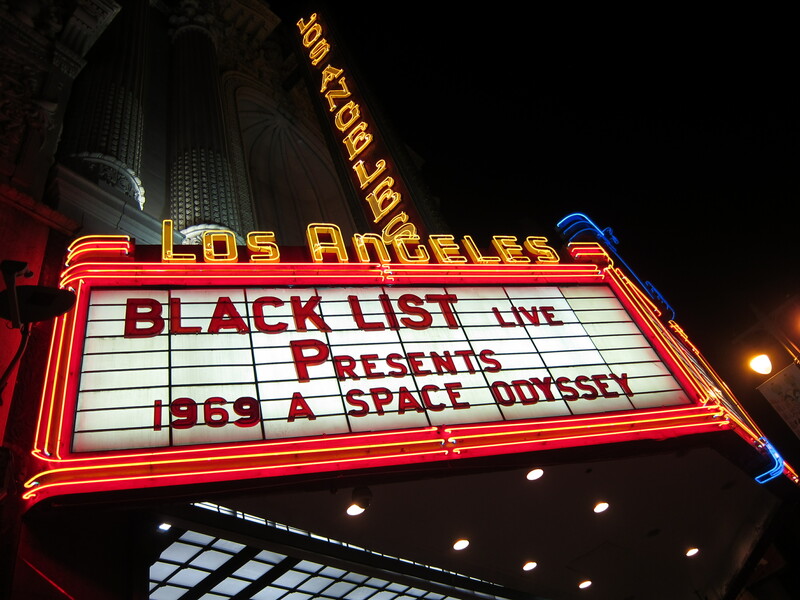 On June 14th, 2014 the Black List and the Los Angeles Film Festival hosted a live reading of my script 1969 A SPACE ODYSSEY OR: HOW KUBRICK LEARNED TO STOP WORRYING AND LAND ON THE MOON. 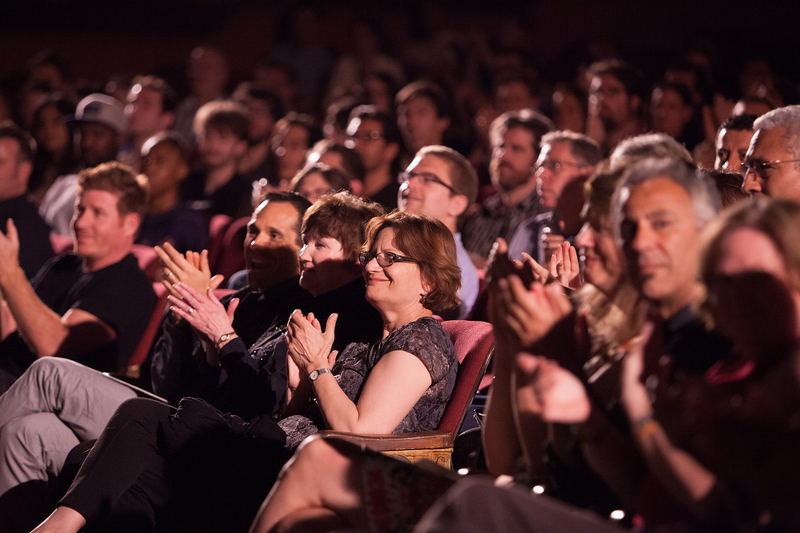 Kathryn Hahn, Jared Harris, Thomas Sadoski, Lance Reddick, Clark Gregg, Aaron Staton, Rich Sommer, Shannon Woodward, Tessa Ferrer, Troy Ruptash and Cooper Thornoton performed to a packed audience of over 700 people. It was amazing, it was thrilling and it gave me a whole new appreciation for live theater, which is f-ing hard. There are no second takes on the stage. So how the hell did I end up with a fancy live reading of my Black List script at the Los Angeles Theatre in downtown LA? Deb and Lisa worked hard to bring together the perfect A-list cast for the read, and I couldn’t have been happier with the results. The night before the official event, we brought the cast together for the first time to rehearse. I couldn’t believe I was hearing actors I’d admired for years bring my words to life. It was intoxicating… and then I sobered: the dialogue was playing well, but a film script does not easily translate to the live stage. All the tricks of the screen trade: montages, cross cutting, action sequences, visual transitions, match cuts… none of them work in a live venue. In a movie, all the fancy scene descriptions are transformed into engaging visuals. If the scene descriptions are only read out loud, they slow down the dialogue and ruin the pacing. I suddenly understood why Jason Reitman only used produced screenplays in his live reads — you already had a visual reference for the scenes. Unproduced screenplays don’t have that luxury, which is why Quentin Tarantino blocked out the live reading of his new script THE HATEFUL EIGHT. Given the cast’s hectic shooting schedules, we had no time to stage the scenes in 1969. So how was I going to turn my film into a live theater experience? By not sleeping. I spent the entire night rewriting the script, removing and changing scene descriptions so that it would work in a live venue. 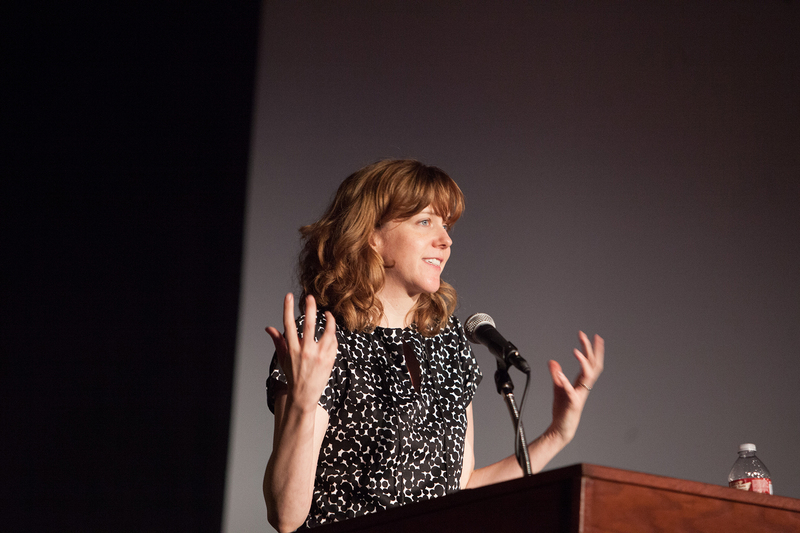 Megan Halpern, event director extraordinaire for the Black List, helped me collect archive footage, photos and music to give the reading more of a cinematic feel. On the day of the live read, I was stressed and sleep deprived, hoping the added visuals and editing the script would bring the show together. When the show started, I sat in the back of the theater and held my breath. 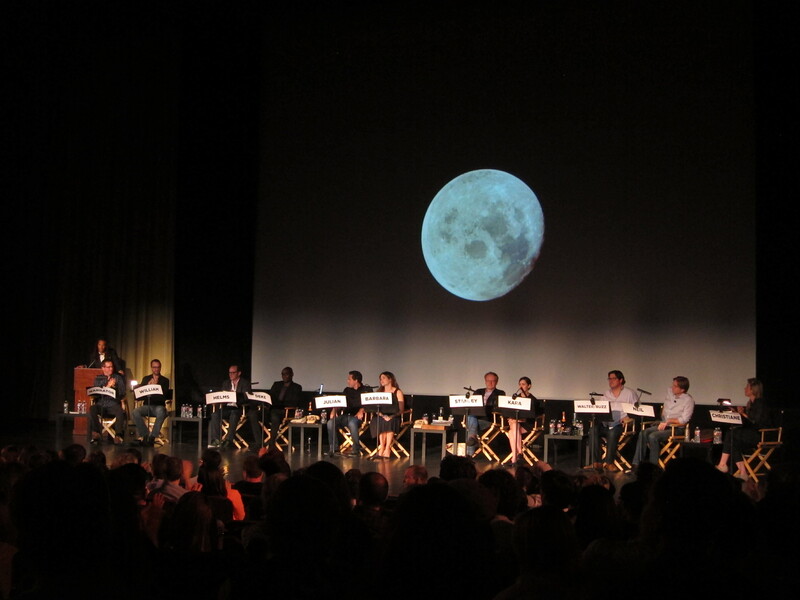 Then, the cast started to read my script…and it worked. The audience was laughing and clapping in all the right spots. Somehow the whole thing came together. We put on a really good show. Would I do a staged reading of one of my screenplays again? Probably. It’s a good way to find out if your dialogue works. Would I do it in a high-pressure event where my unproduced work is compared to Jason Reitman’s and Quentin Tarantino’s (WTF)? I would do it all again without hesitation. Sending out a huge thank you to Franklin Leonard, The Black List and the stellar cast for making the fantastic reading of 1969 possible. I’m thrilled to see what BlackList Live! does next. 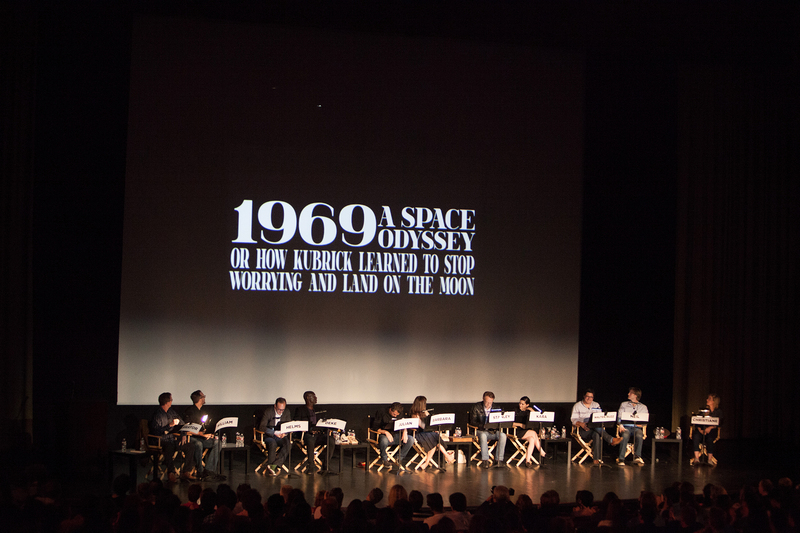 If you’re in Los Angeles on June 14th, then you’ll want to see the Black List Live Read of 1969 A SPACE ODYSSEY. 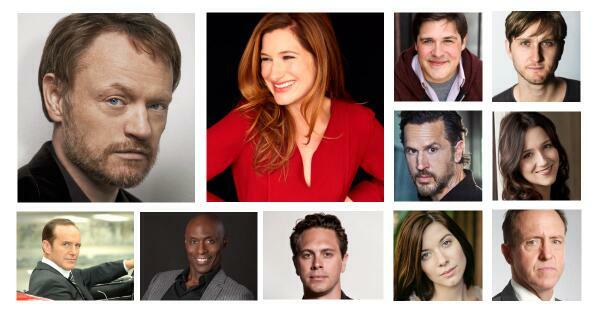 I’m over the moon (pun intended) that we have such an amazingly talented cast on board. Kathryn Hahn of Parks And Recreation will play the lead, Jared Harris of Mad Men will play Stanley Kubrick, Thomas Sadoski of The Newsroom will play NASA Public Affairs administrator Julian Scheer, and Shannon Woodward of Raising Hope will play Kubrick’s assistant, Kara Downs. Clark Gregg (Agents of S.H.I.E.L.D., The Avengers, Trust Me) will be in the role of Richard Helms, Director of the CIA. Aaron Staton (Mad Men) and Rich Sommer (Mad Men) will play the roles of Neil Armstrong and Buzz Aldrin, respectively. On June 14th the Black List will host its first live staged reading at the LA Film Festival…and they are reading my script. Extremely honored to be part of this. Exciting cast announcements and ticket info coming soon! A first time event taking place at the Festival this year is The Black List Live! A Staged Reading. The Festival is teaming up with The Black List to program a staged reading of an unproduced Black List script. 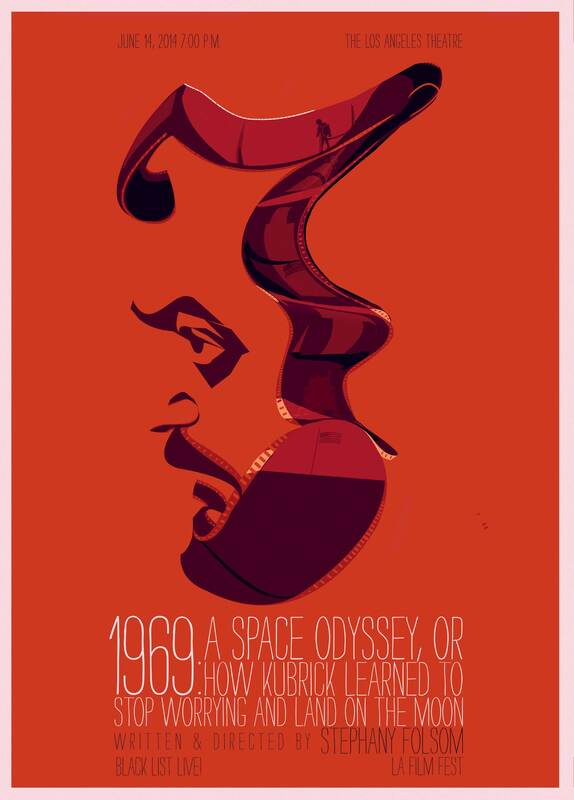 Join us for this one night only reading of Stephany Folsom’s 1969: A Space Odyssey, or How Kubrick Learned to Stop Worrying and Land on the Moon about a White House public affairs assistant who convinces Stanley Kubrick to fake the moon landing, just in case something goes wrong during that one small step. 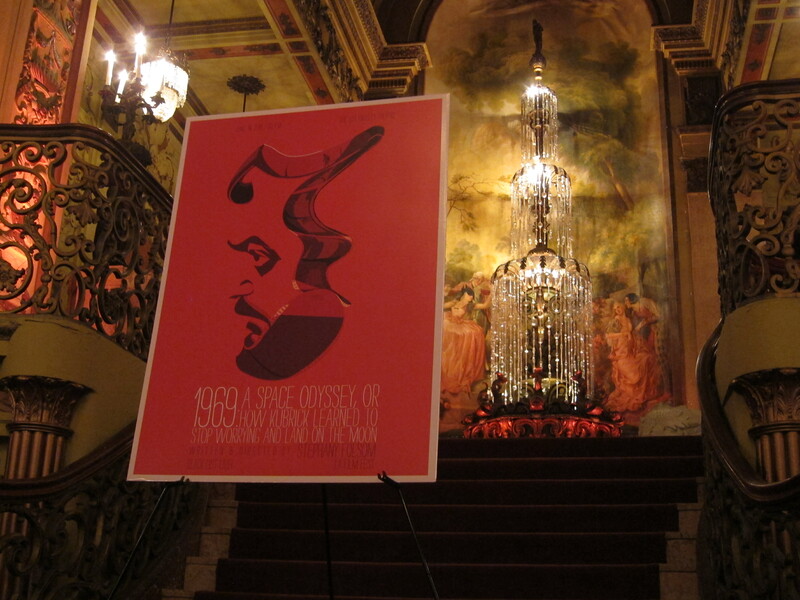 The event will take place on June 14 at 7:00 pm at the Los Angeles Theater. Adapting Harlan Coben’s MISSING YOU for Warner Bros.
I’m very excited to adapt Harlan Coben’s Missing You for Warner Brothers and Brett Ratner’s RatPac. I’ll share more when I can come up for some air. Until then, back to writing! I was recently interviewed by screenwriter Scott Myers for Go Into The Story (the official blog of the Black List). I had a blast discussing movies, screenwriting and working in Hollywood with Scott. You can read the full interview on Go Into The Story. While you’re there, be sure to check out the rest of the site. It’s one of the best screenwriting resources out there. Things have gotten pretty busy since my script 1969 A SPACE ODYSSEY or: HOW KUBRICK LEARNED TO STOP WORRYING AND LAND ON THE MOON made The Tracking Board’s Hit List and the Black List. I have had a lot more work on my plate (hooray), but I haven’t been able to write here as much as I’d like. I will do my best to keep posting monthly in 2014, because everyone needs more writing, film. And booze. Thanks for reading this silly blog in its inaugural year. Have a wonderful 2014! Enter your email address to follow Stephany Says... and receive notifications of new posts by email. © Stephany Folsom and Stephany Says.., 2013. Unauthorized use and/or duplication of this material without express and written permission from this blog’s author and/or owner is strictly prohibited. Excerpts and links may be used, provided that full and clear credit is given to Stephany Folsom and Stephany Says... with appropriate and specific direction to the original content.